“Nail Art” many people have heard this name. This is the newest trend in nail polish. There are many styles in it. The latest is “Metallic Nails”. In Metallic Nails we need to first paste nail polish as well as do usually and then that metallic powder is been rubbed to give the effect of metal it’s beautiful as well as trendy. The second is Marble Nail Art. It’s the most trendy as well as funky nail art and it’s also easy. Many people think it would be difficult to do and don’t even try to do it but it’s really easy to do so. So first of all take water mind it, it should be neither warm nor cold, it should be in room temperature and take it into a bowl or anything you are having that you can dip your finger inside. Then choose your colors, take the first color and drop only a single drop of it, after it is spread take another drop of color and continue it till you want. Then design it as you want but be careful and do it with toothpick then dip your nail and remove the other areas color besides on nails. So this was another trendy nail art. Next is Diamond Nail Art. In this nail art we need small diamonds with different shapes and color you will get in any shop, and a glue of nails to stick those diamonds. Ok so first we put nail polish of your choice and after it is dried, apply a little glue on tooth pick and then on our nails after applying the glue, stick the diamond exactly on it and let it get stick with same method also stick as many as diamonds you want. So, these are some of the trendy, fashionable nail arts you should definitely try.  And give us feedback by giving comment and liking our page at girlsglamour.in.